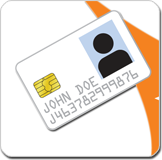 Global Industry Analysts Inc. released a report forecasting the outlook on the global smart card market to reach 10.9 billion units by 2015. GIA credits the growth driven largely by major initiatives in the financial, government and security sectors, with the telecom sector at the way ahead of the pack as the largest end-user. Increasing usage of contactless technology, newer applications and mandatory EMV migration across countries are also major drivers boosting the global market for smart cards. The research report titled “Smart Cards: A Global Outlook” analyzes the demand scenario for smart cards in telecom, identification, financial/banking services, security, and mass transit sectors. And provides statistical anecdotes, market briefs, and concise summaries of research findings. Regional markets briefly abstracted and covered include US, Canada, France, Germany, China, India, Japan, South Korea, Vietnam, Philippines and Latin America.